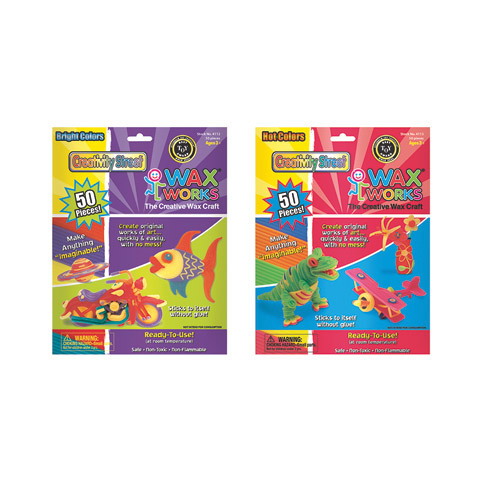 Create original works of art quickly and easily with these safe, non-toxic and non-flammable thin wax strips. They are 8" long x .25cm wide with a fiber strand that runs through the middle. They are bendable, moldable sticks and ready to use and reuse. No glue is needed. Intended for ages 3 years and up.